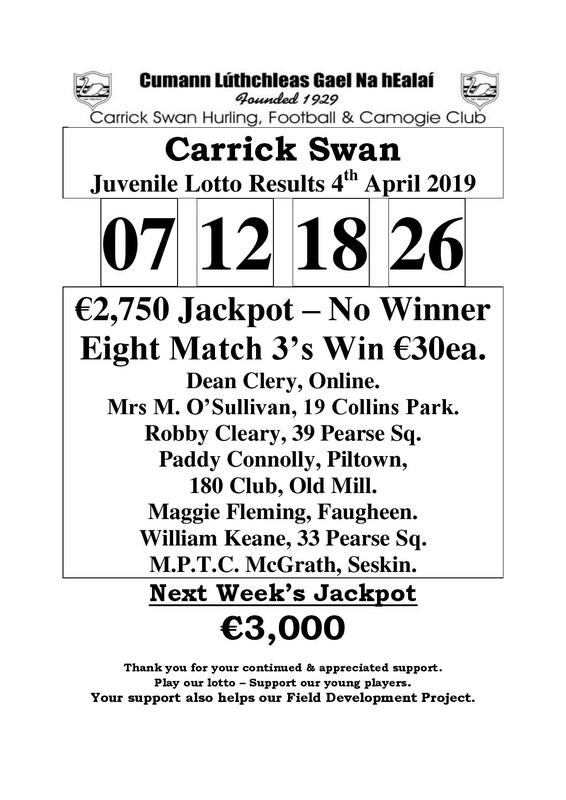 €2,750 Jackpot – No Winner. Mrs M. O’Sullivan, 19 Collins Park. Robby Cleary, 39 Pearse Sq. William Keane, 33 Pearse Sq.